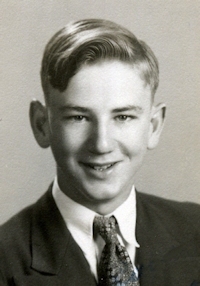 Obituary – Henry, Harold Thomas “Hank” « Perry High School Alumni Association, Inc.
Class Assemblies 51-54; Basketball 51-54; Student Council 51-54; Football 52-54; Baseball 53-54. Harold Thomas “Hank” Henry 73 of Midwest City, OK, passed away March 23, 2010. Hank was born April 23, 1936 in Konawa, OK to Otis and Pearl Wilson Henry. He graduated from Perry High School in 1954. He served his country in the United States Army from 1954 to 1964. Hank loved Country Music and played steel guitar for five years, playing in bands for Patti Page and Hank Thompson. He was in Auto sales for 22 years and was Sales Manager of the Year for Ford Motor Co. in 1982. Hank was Chairman of the Board with Southern Legends Entertainment and Performing Arts Hall of Fame. He enjoyed working in the yard. When friends came to the house Hank would take them to the backyard to show off his two fish ponds. He is survived by his friend Freda Staats of Midwest City, and his sister, Shirley Tearney and husband Bill, of Perry, OK.
Services will be 10am Monday, March 29, 2010 at Bill Eisenhour Southeast Chapel with interment in Elmwood Cemetery, Choctaw, OK. Arrangements under the direction of Bill Eisenhour Funeral Home, Del City, OK.